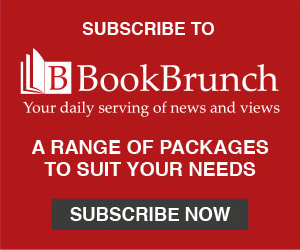 Liza Miller, senior editor at Wren & Rook (Hachette Children's), has signed a non-fiction picture book adaptation of a film developed by Mother London for Greenpeace UK. Wren & Rook has world rights through Veronique Baxter at David Higham on behalf of Mother London for James Sellick's text of There's a Rang-tan in My Bedroom, and through Jodie Hodges at United Agents for illustrations by Frann Preston-Gannon. The book will have a foreword by Emma Thompson, who narrates the ad. 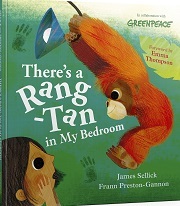 The book (May 2020) and ad are about a girl who discovers an orangutan on the loose in her bedroom and shouting ooo! at the products there containing palm oil. Miller said: "As soon as I saw Greenpeace's astonishing film about Rang-tan, I immediately knew it would make a perfect picture book. While the beautiful animation captured the attention of a huge audience online, we knew that reimagining the story was vital for its important message to resonate with picture book readers. Frann's gorgeous illustrations will reach a new wave of young Rang-tan fans."